Adopting a zero waste lifestyle means reducing the amount of waste you generate on an individual level in order to minimize the environmental impact of consumerism. 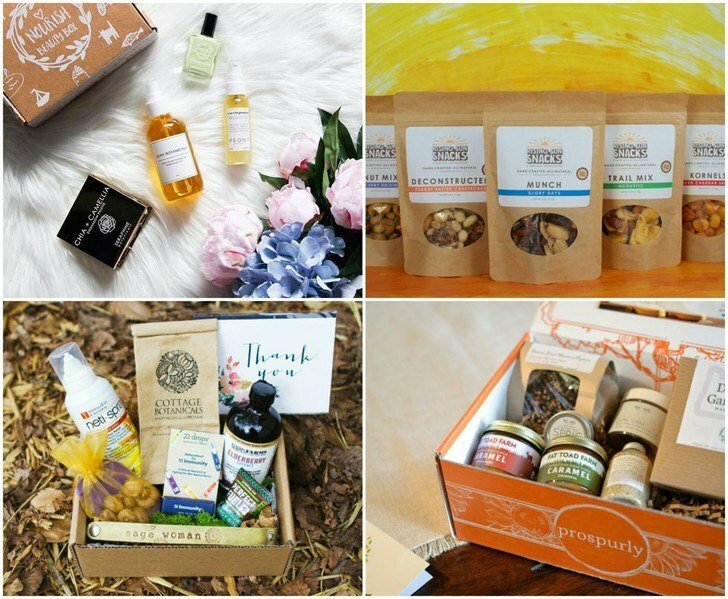 Ideally, zero wasters seek to send nothing they purchase to landfills. With an emphasis on reducing, reusing, and recycling, as well as the repairability, durability, and sustainability of everyday products, proponents of the zero waste lifestyle often “precycle” too by considering the waste a product generates before bringing it into the home. Thinking in “zero waste” terms involves questioning the life cycle of the products we use – how it is made, what materials it is constructed from, how it is packaged and transported, how long will it last, and how it is disposed of. The zero waste mindset fosters a greater awareness of the earth’s limited resources while emphasizing conscientious consumption. Don’t be a mindless consumer. 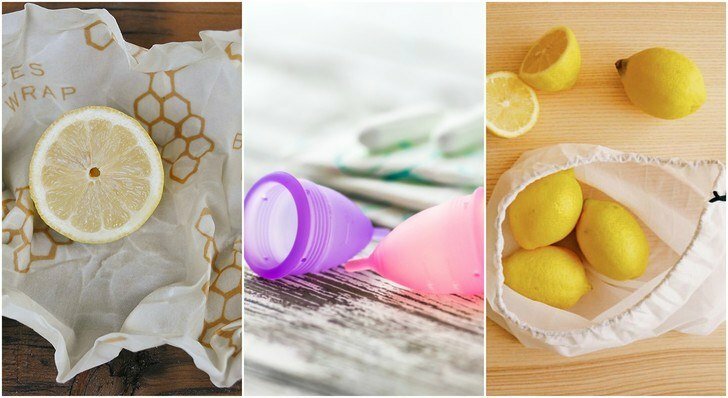 Check out our list of zero waste swaps that promote less trash and more utility in the products we use. An estimated 50 million pounds of plastic toothbrushes end up in landfills each year in the US, taking anywhere from 450 to 1,000 years to degrade. That means that every single plastic toothbrush that has ever been made since its invention in the 1930s is still sitting in the landfill today. The average American tosses out 4 toothbrushes annually, and 300 toothbrushes over the course of their lifetime. You can reduce plastic waste by opting instead for bamboo toothbrushes, a much more sustainable option that takes plastics out of the equation. The handles are strong and won’t splinter, are entirely biodegradable, and are individually numbered for multi-person households. Pick up a 4-pack of WowE Bamboo Toothbrushes here. Stretchy and sticky cling wrap is great for sealing up food to delay spoilage but these plastic films can’t be recycled due to the addition of chemicals that make it cling, which cannot be removed. A blend of beeswax, organic cotton, jojoba oil, and tree resin, Bee’s Wrap can be washed and reused as much as several times per week for around one year. It sticks to itself as well as plates and bowls when you rub it with your hands. When it reaches the end of its usefulness, toss it in the compost. Pick up a 3-pack of Bee’s Wrap here. Using a plastic straw to slurp your bevvy might seem like a small thing, but the amount of waste generated is staggering: 500 million straws are used in America each day. Although slight in size, straws are one of the worst offenders when it comes to ocean pollution, as evidenced by a video shot in 2015 of a sea turtle with a straw painfully stuck in its nostril. While it shouldn’t be too difficult to say no to this frill altogether, straw sipping enthusiasts can still get their liquids via a stainless steel tube. Rust proof, scratch proof, and dishwasher safe, SipWell’s straws will surely last a lifetime. Pick up a set of 4 SipWell Stainless Steel Drinking Straws here. Tossed away at a rate of 2 billion per year in the US, disposable razors are too small and too difficult to disassemble at ordinary recycling plants and so they languish at the dump. But we can reduce this wastefulness substantially be switching to a safety razor. Backed by a lifetime warranty, Vikings Blade is a high quality razor made from stainless steel, a much more durable and heavier material than cheap plastic disposables. The weight of the razor also has the benefit of providing a closer shave for the smoothest legs and faces. Pick up a Vikings Blade Safety Razor here. Great for reducing product and food waste, this nifty little invention helps you get to the very last drop of bottled liquids. The Flip-It! Bottle Emptying Kit works by screwing on one of its twist on caps (available in four sizes) and setting the near empty bottle upside down on a tripod-supported dispenser that features and push pull valve for easy use. It’s perfect for any thick liquid – shampoo and conditioner, moisturizer and lotion, dish soap and other cleaning products. Since the caps are food-grade, they can be used to empty bottles of honey, ketchup, barbecue sauce, salad dressing, and other condiments. Pick up the Flip It! Bottle Emptying Kit here. Disposable makeup remover pads are often made from cotton, one of the most unsustainable non-food crops in the world. Cotton farming contributes to water scarcity, soil erosion, ecosystem contamination, and is very heavy handed in its use of pesticides and chemicals. Using non-organic cotton pads once and then tossing them away means that all that environmental pollution was for nothing. Made from earth friendly bamboo fleece, Wegreeco Makeup Remover Pads are soft and gentle enough for your face but can be washed and reused at least 1,000 times. Pick up a 12-pack of Wegreeco Bamboo Makeup Remover Pads here. Flossing your teeth once per day has many benefits beyond good oral hygiene but the typical brands of dental floss are made from nylon threading and come in a plastic container – neither of which can be recycled. You can have squeaky clean teeth without the unnecessary waste by using Dental Lace instead. Made from biodegradable silk and coated in candelilla wax, it comes in a refillable glass dispenser that can be restocked again and again. Pick up the Dental Lace Refillable Floss kit here and extra refills here. Conventional deodorant brands tend to contain ingredients that are dubious at best and they are packaged in a plastic tube that can’t be recycled in most municipalities. Providing the best of both worlds, Meow Meow Tweet deodorant cream is made entirely from nature’s bounty: coconut oil, shea butter, kaolin clay, arrowroot powder, baking soda, jojoba oil, and scented in lavender essential oil. Since it’s a cream that’s applied with your fingers, it comes in a cute glass jar that can be recycled or cleaned and upcycled. Pick up a jar of Meow Meow Tweet Deodorant Cream here. Selling more than 9 billion single serving coffee pods in 2015 alone, Keurig the company has surely contributed to vast amounts of landfill plastics. Even though they debuted a recyclable pod in 2016, this solution is less than ideal because these pods can’t be reused – and new K-cups will still be manufactured from virgin plastic. A much more economical and much less wasteful way to drink by the single cup, reusable K-cups can be filled with your favorite coffee or tea blend and then rinsed out to be used again. So simple! Pick up a 4-pack of Reusable K-Cups here. A powerful way to stem the flow of plastic pollution is to simply refuse to buy products that come in a bottle. An excellent choice for its natural ingredients and minimalist packaging, Ethique makes solid shampoo and conditioner bars – the respective equivalent of 3 and 5 bottles of traditional products. And the wrappers and packaging are 100% biodegradable. To use, wet the bar and swipe it down your hair length a few times and then lather. Pick up Ethique Shampoo and Conditioner Bars here and here. Even though plastic water bottles are readily recyclable, only 31% were diverted from landfills in the US in 2015. If we don’t change our habits, plastic pollution will only get worse – in fact, it has been estimated that, by weight, there will be more plastics in the ocean than fish by the year 2050. Be the change you wish to see by investing in a reusable bottle. We’re quite fond of the Tree Tribe stainless steel water bottle because it’s extremely durable (and backed by a lifetime warranty), it’s versatile (it’ll keep beverages hot or cold), and for each bottle purchased, they will plant 10 trees. Pick up a Tree Tribe Stainless Steel Bottle here. The equivalent of flushing 27,000 trees down the toilet each day, toilet paper may seem like an unavoidable consequence of using the bathroom. Short of installing a bidet, there are much more sustainable options that don’t involve felling a single tree. We like NooTrees 3-ply bamboo tissue because it is absorbent, soft to the touch, and strong while also coming from a sustainable and renewable resource. Pick up a 40-pack of NooTrees Bamboo Bathroom Tissue here. Single-use throwaways like aluminum foil and parchment paper are needlessly wasteful. Use instead a non-stick silicone baking mat, which can be washed and reused for many years. Able to withstand temperatures of up to 400°F, baking mats are made from food grade silicone with a fiberglass core so they won’t affect the flavor or aroma of your cooking. Pick up a set of Kitzini Baking Mats here. The ecological impact of menstruation is nothing to shrug at either – billions of feminine hygiene products are trashed in the US each year. Not only do tampons and pads contain toxic ingredients that could compromise your health, these synthetic chemicals are persistent organic pollutants that are resistant to degradation to remain in the soil, water, food supply, and atmosphere…pretty much forever. There are lots of compelling reasons to make the switch to menstrual cups, and chief among them is an enormous reduction in waste. Menstrual cups are 100% medical grade silicone – no latex, plastic, BPA, or artificial dyes. Meant to be reused, one menstrual cup will endure for 10 years or more. Pick up a Diva Menstrual Cup here. Similar to feminine hygiene products, disposable diapers are contaminated with dioxins and furans – toxins that are the by-products of the bleaching process that are damaging to both human health and the environment. In 2013 alone, the equivalent of 20 million disposable diapers was thrown in the garbage. Cloth diapers are much kinder to your baby, the planet, and your wallet. We love Thirsties cloth diapers because they offer a full range of diapering systems and come in many adorable designs. Check out Thirsties Cloth Diapers here. Five trillion plastic bags are produced worldwide every year – and yet less than 1% is ever recycled. That means that practically each bag ever created will remain on earth for a really, really long time. According to a survey published in 2014, 40% of consumers forget to bring their reusable bags with them despite their good intentions. That’s why we like the BagPodz reusable bag set which comes with a zip up storage bag that can clip on to your shopping cart. Another nice thing is that the bags themselves are large and sturdy enough to hold 50 pounds each. Pick up the BagPodz Reusable Bag and Storage System here. Likewise, forsake the flimsy and non-breathable plastic produce bags and use organic cotton mesh bags when you shop for fruits and veggies. Pick up a set of 6 assorted size mesh bags here. By investing in a reusable coffee mug, you can help divert the epic wastefulness of single use paper cups – which are heaped into garbage sites at a rate of 50 billion per year. That’s right – paper coffee cups can’t be recycled. There are plenty of great travel mug options but the Copco Acadia travel mug checks many zero waste boxes: it’s super durable, dishwasher and microwave safe, holds 16 ounces of brew, and is backed by a lifetime warranty. Pick up a Copco Acadia Travel Mug here. Invented solely as the solution to the problem of static cling – an issue chiefly caused by the tumble of dyers – fabric softening sheets are coated in synthetic chemicals to neutralize static. In addition to the health reasons to ditch dryer sheets, they also can’t be recycled or composted. A better bet to tackle static cling, speed up drying time, and soften your clothing is to switch to wool dryer balls. Pick up a 6-pack of Smart Sheep Wool Dryer Balls here. Typical cat litter contains silica dust and artificial fragrances, neither of which are healthy to breathe in for you or your kitty. The clumping varieties are made with sodium bentonite clay, a non-biodegradable material that will endure in landfills long after we’re gone. The good news is that there are plenty of natural options that won’t leave a footprint behind. Wood pellets work great as kitty litter substrate since they impart a nice woody aroma as they do their business, are often far less expensive than regular litter, and are non-clumping. Better yet, they are a by-product of the lumber industry so no new trees are cut down to produce them. Pick up a 40 pound bag of Feline Pine Cat Litter here. According to the Environmental Protection Agency, Americans toss out batteries at a rate of 3 billion per year. Many types of batteries can contain mercury, lead, cadmium, acid, nickel, lithium, and alkaline and other toxic heavy metals that contaminate soil and pollute waterways when sent to a landfill. All batteries are considered hazardous waste and should never be thrown into the garbage. To reduce the impact of batteries on the planet, the first step is to find your local Call2Recycle drop off location. Next, stop using single-use disposable batteries, and opt instead for rechargeables which will last for hundreds of uses. When shopping for rechargeables, always make sure they have the Rechargeable Battery Recycling Corporation (RBRC) stamp on the package – like these ones by Enerloop. Pick up Panasonic Enerloop Rechargeable Batteries here. Free of BPA and other chemicals that might leach into your food, glass food storage containers are so much longer lived and healthier than their plastic tupperware counterparts. Airtight and leak-proof, Glasslock containers are safe for use in the oven, microwave, freezer, and dishwasher. Pick up the Glasslock 18-piece assorted container set here. Long before the invention of disposable facial tissues, handkerchiefs were the way people handled sudden sneeze attacks and runny noses. Although paper tissues offer convenience and less of an ick factor than cloth handkerchiefs, they are made from trees – and at a time when we should really be planting more trees. If you’re worried that using a cloth hanky will spread germs, bear in mind that washing your hands often is the number one way to protect yourself from colds and flu. Still grossed out? The HankyBook provides a way to keep your hands, pockets, and bags snot-free. It consists of 8 organic cotton “pages” in a protective pocket-sized cover that keeps everything nicely separated after you blow your nose. The entire Hankybook is washable and can also be used to wipe away sweat, food, teary eyes, and other messes. Pick up a HankyBook here. If you haven’t already, setting up a home composting system will provide you with a steady supply of incredibly nutrient rich humus for your garden beds while also reducing the volume of garbage you generate. You might be surprised by the number of things that can be composted – and zero-wasters can definitely take composting to the next level. Pick up a Yimby Tumbler Composter here. BIC has sold over 30 billion lighters in the last 40 years, and not one bit of all that plastic and metal has been recycled. Backed by a lifetime warranty, Zippo lighters are windproof, durable, sleek, and quite classy. Once spent, simply refuel to reuse. Pick up a Zippo Lighter here. Skip the toxic Teflon frying pans and use cast iron cookware instead. Not only is it healthier for you and yours, cast-iron is so very versatile – you can sauté, sear, bake, and fry with it. Cast iron cookware only gets better with age, and when properly cared for will last for many generations. Pick up a Lodge Pre-Seasoned Cast Iron Skillet here. Although some municipalities accept gift wrap in the blue bin, others do not. A safer bet is to purchase eco-friendly wrapping paper made from recyclable and compostable materials. Wrappily is one such green gift wrapping option, carrying colorful designs for any occasion that are printed on newsprint sheets and use only soy based inks. Shop Wrappily Gift Wrap here. If you’re going zero waste and love to bake, the addition of silicone muffin liners to your kitchen accessory drawer is a small but important way to help the trees. Not limited to muffins, these reusable cups can make cupcakes, candies, eggs, breads, frozen desserts, and help keep foods neat and tidy when packed in a lunchbox. Pick up a 12-pack of Silicone Muffin Molds here. In lieu of purchasing spices packaged in those small plastic containers, buying spices in bulk will help reduce the amount of plastics that enter and exit the home. It’s often much more economical to purchase spices in bulk too. You might need to pick up a spice container set like this one. Shop Frontier Co-op 1 pound bulk spices here. Wire twist ties have the distinct disadvantage of cutting into delicate stems and branches as your plants grow. A much better alternative to plastic or paper ties, velcro plant tape is soft, can be easily adjusted as your plants mature, and can be collected and reused year after year. Pick up Velcro Adjustable Plant Ties here.